Get your tickets. The Carnival is coming for you soon. Submissions closed a little over two weeks ago. I have over half the edits out to authors and I’m hoping I can get the last of them off my desk tonight. Rewrites are already starting to flow back in. I’m also learning what a fascinating challenge it is to weave all these separate stories together into a more closely bound narrative than what I’m used to. Early in the process, Erik Scott de Bie proposed (possibly as a joke), that we should get a few of the authors from the anthology together in one room and write out a big showdown with the carnival. It was an insane idea. I mean, who does that? Well, we did, for one. Yesterday I weathered the rain to fetch a box of Top Pot donuts and descended upon base camp offered up by Rosemary Jones in her condo. She already had coffee brewing, Gods of Caffeine bless her heart. Dawn Vogel and Jeremy Zimmerman were next to arrive, followed shortly thereafter by Erik Scott de Bie. I had prepped a shared document for everyone to work in with a few pages of journal entry by the instigator of Cobalt City’s defense. I won’t name names, but for fans of Cobalt City, it is the perhaps the most unlikely of heroes. I wrote on behalf of the mission leader and dropped in a few markers to seed scenes and the final confrontation. I also gave up a few of the secrets of the Golden Apple Carnival and let them brainstorm a bit. Then, fortified by coffee and donuts, they sprung into action writing the characters they worked with for the anthology. #Wheresthearm became our hashtag rallying cry as we got booted and had to restart our browsers. Our other rallying cry, supplied by de Bie’s Stardust was #ihatemagic. I’ve spent a little while shaping it today, fine tuning bits here and there, adding an extra action sequence for Wild Kat because she deserved it, and basically making this the most epic throwdown I think we’ve put in a Cobalt City anthology. Once I finish up the edits for the other stories tonight, I’ll go back in and add a bit more. 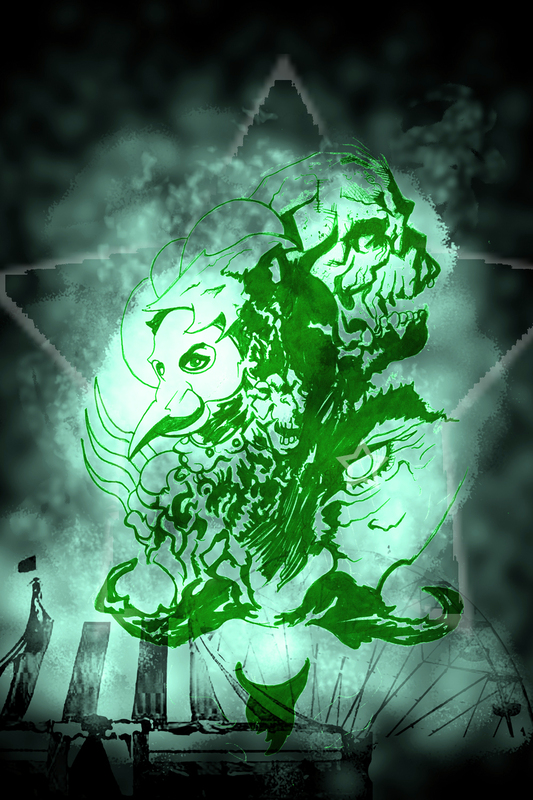 The Dark Carnival is coming together, mysterious and dangerous, and full of adventure. Cobalt City deserves nothing else.